KT Cleaning & Snow Removal provides professional, responsive snow removal and salting services for both residential and commercial properties. We have the equipment and an experienced staff to help ensure prompt snow removal and ice management. We pride ourselves on providing the most effective, reliable and time-sensitive services necessary to make your property safer and accessible during inclement weather. During the winter months, it can be difficult to keep up with the snow and ice that can build up around your home or business. Call us for a FREE quote today! We offer customized cleaning services to fit the needs of your home or business. We can save you time, so you can focus on what matters! Harsh winters create hazardous conditions for parking lots, sidewalks and pathways. 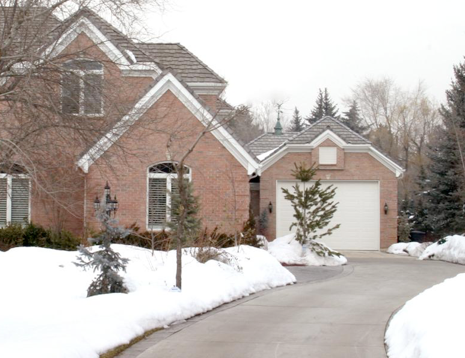 As a property manager or homeowner, you need to invest in snow removal services you can rely on to keep your property safe and snow-free. KT Snow Removal offers comprehensive services for both commercial and residential properties. Whether you need a one time plowing or services all winter long, KT Snow Removal will be at your service, no matter what the weather holds. Let us keep your driveways, parking lots, and walkways safe and accessible. Don't wait till its snowing, get your Free Estimate today! Don't wait until it's snowing. Request your FREE estimate today! Let us consult with you on your snow removal and ice management needs. Seasonal and per plow rates available. We offer competitive pricing and are fully insured to provide peace of mind. Every property is different, that is why our services are customized to fit your needs. We’re proud of our commitment to our clients, our reputation and our ability to serve homeowners and businesses. Winter was coming and K-9 Kastle has a long driveway. My previous snow plow operator broke down and scalped my grass. I thought “THE CHAMBER WAY” and called Dana at K.T. Cleaning and Snow Removal. They staked out the driveway all the way back to the barn. Their plow is lifted to push snow over the grass. What a relief - no snow piled by the parking area. K.T. Cleaning & Snow Removal from Wonder Lake, ‘ “You are a Howling Success” with all the K-9’s. K.T. Cleaning & Snow Removal provides cleaning services weekly, biweekly or monthly. We will dust, vacuum, wash and disinfect, using our equipment and cleaning products. Every home and or business is different and that is why our cleaning services are customized to fit your needs. We are happy to provide a Free Estimate! We look forward to contacting you. Thank you!